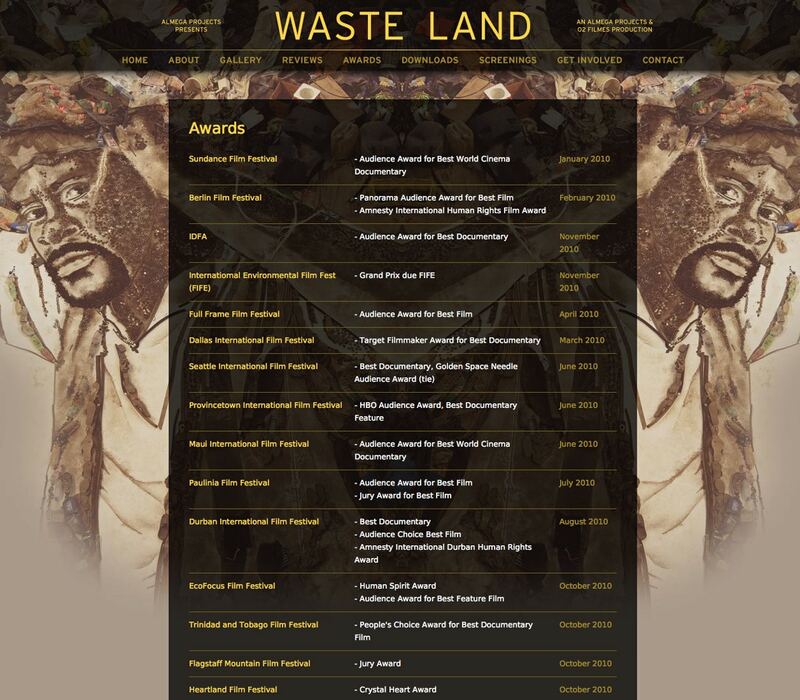 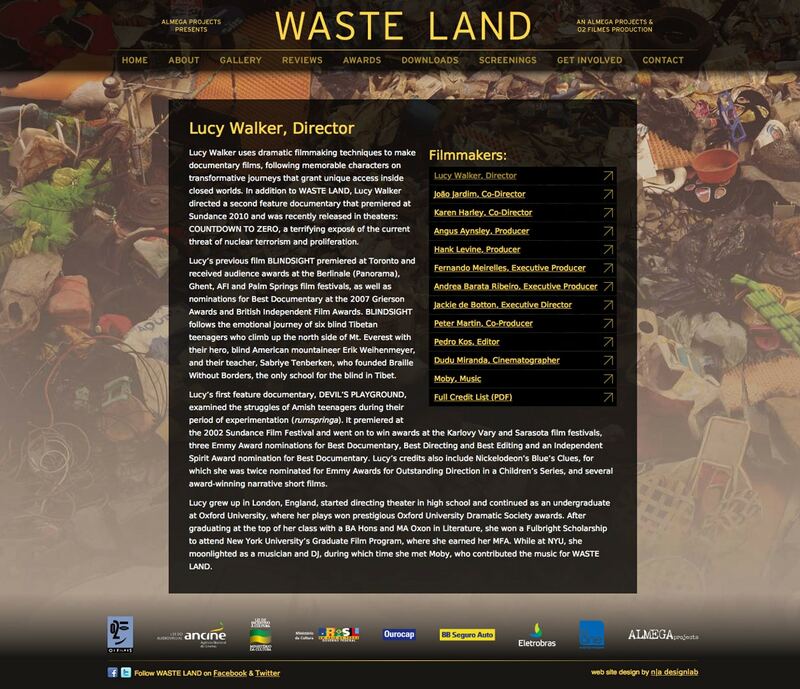 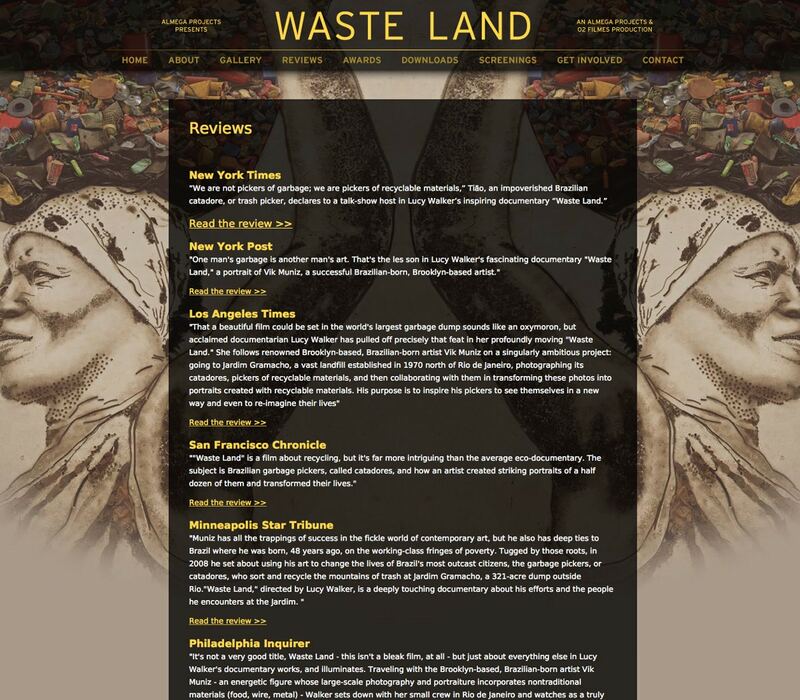 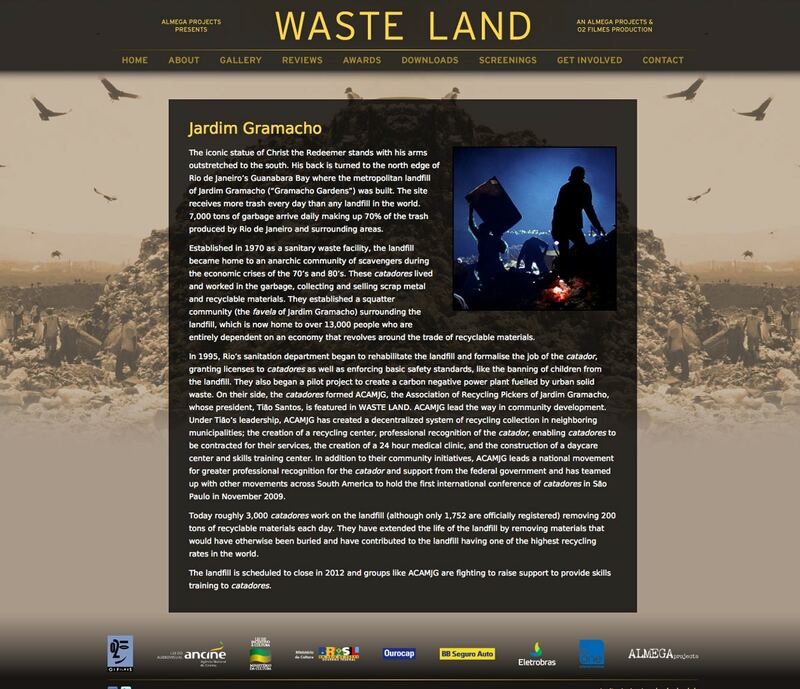 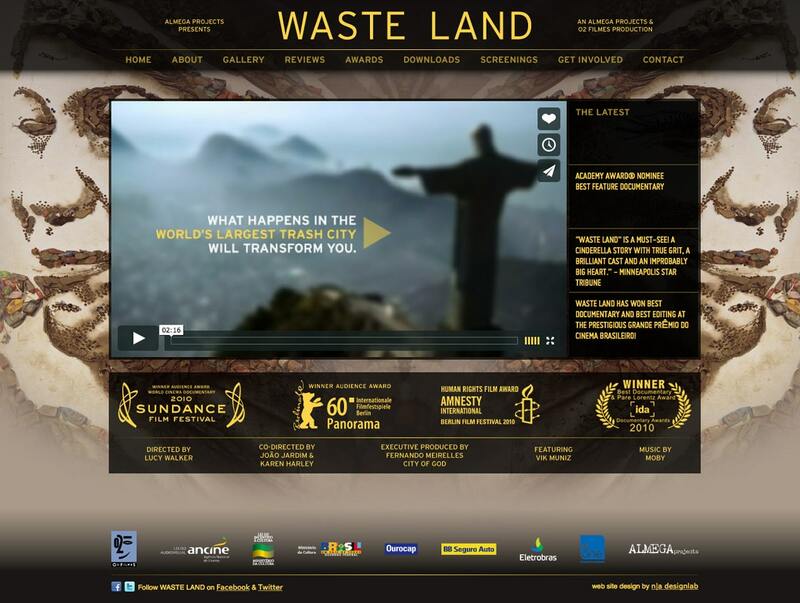 Filmed over nearly three years, the Oscar-nominated® film Waste Land follows renowned artist Vik Muniz as he journeys from his home base in Brooklyn to his native Brazil and the world’s largest garbage dump, Jardim Gramacho, located on the outskirts of Rio de Janeiro. 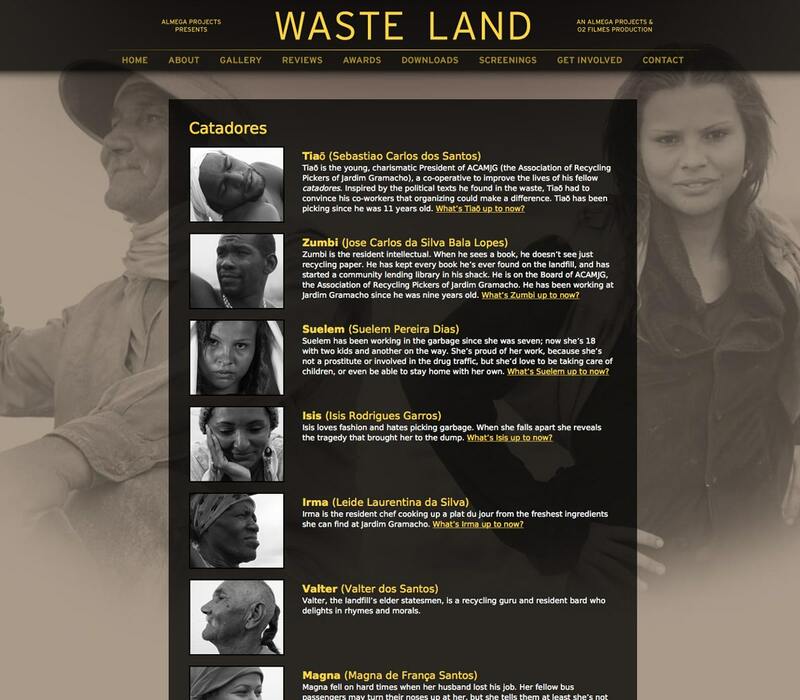 There he photographs an eclectic band of “catadores”—self-designated pickers of recyclable materials. 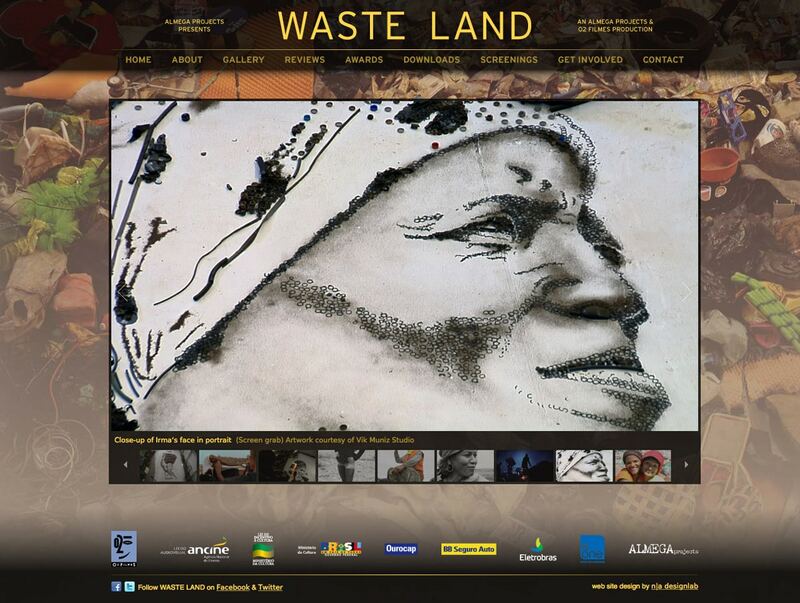 The website leverages the immersive nature of Mr. Muniz’s artwork to provide varying textured backgrounds throughout the site.